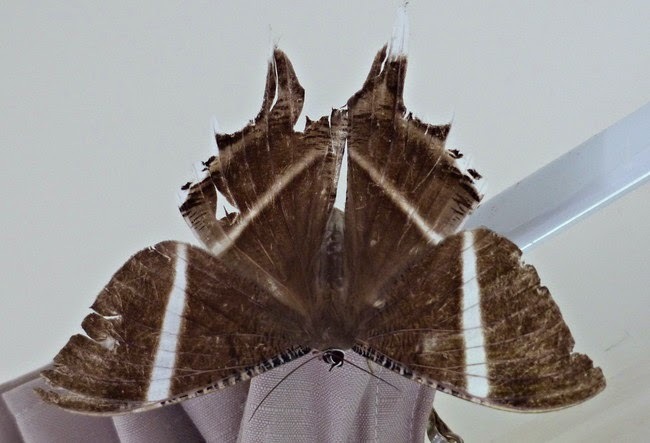 Daintree Valley Haven: A rare moth? When we went into one of our guests' bungalows this morning this is what we saw on top of one of their curtains (we think they can't have looked up before they went out for the day!). Never seen one before and when I googled I found it is a Tropical Swallowtail Moth which is native mainly to Singapore and SE Asia! It's huge - about 4 inches across!